Phil Roberts and I went to the South-west of Saudi Arabia for a week’s birding between 30th June and 6th July in the hope of seeing some Arabian Endemics, African birds and a number of other species that are not present in our normal birding areas of the Eastern Province of Saudi Arabia. We went in the middle of summer, as the African breeding birds are present, birding on our local patch in the Eastern Province was very quiet and my family where in Europe for the summer holidays. One negative point was that it was very hot, 44 °C each day, and very humid making the birding a bit of a chore in the middle of the day. Both Phil and I have been to the Abha area before and we had seen a number of the endemic species but we had not seen all of them and this trip was planned to help maximize our chances of seeing the last few species we had not seen including, Philby’s Partridge (Phil), Arabian Waxbill, Arabian Woodpecker (Jem), Yemen Serin and the Asir race of European Magpie which is very rare with only possibly 150 pairs still remaining, and is sometimes treated as a separate species. We hired a four-wheel drive GMC Yukon, as we did not want to miss out on being able to get to any sites for the extra cost of the four-wheel drive. The car was hired from Budget Car Hire at Jizan King Abdullah Airport (tel: +966 7 3215776) who are open from 06:00 – 02:00 hrs each day except Friday when they are open 17:00 – 02:00 hrs. As we work for Saudi Aramco we got a 40% discount on the price and 225 free kilometres instead of the normal 125 kilometres which was excellent for us as we travelled a lot of kilometres. The car cost 400 Saudi Arabian Riyals (SAR) per day with 1.75 SAR extra per kilometre driven over the limit. We picked up the car from the airport on arrival and even though we had confirmed on numerous occasions that the car would be ready when we got there they did not seem to know about our booking. Once they had found the booking we got the car and drove to the nearby Jazan Inn Hotel. We used the four-wheel drive occasionally and certainly gives you a feeling of safety both on and off the roads and was good at going up and down the very steep and dangerous Raydah Escarpment road, but I suspect you do not really require one if you drive carefully. Four-wheel drive cars are much more expensive with two-wheel drive cars costing only 120 SAR a day and 1 SAR extra per kilometre driven over the limit of 225 kilometres. In Jizan we stayed in the Jazan Inn Hotel (www.jazaninn.com : e-mail reservation@jazaninn.com : tel +966 7 3251111), Sadafa Roundabout, North Corniche, Jizan from night of 30th June to morning of 4th July and this proved to be a decent hotel in a good location. The hotel had free wireless internet connections which was great for downloading and checking photographs taken during the day and cost 600 SAR for a twin room including breakfast. In Abha we stayed at the Abha Palace Hotel (www.abhapalace.com : tel +966 7 229 4444), Nahran Road, Abha from night of 4th July to morning of 6th July. This was a very nice hotel with good rooms, reasonable food and free internet connection. The hotel is on the Raydah Escarpment side of Abha which is the main birding site so is reasonably located. It is on the edge of Abha Lake which can be viewed from the hotel if you go to the fifth floor restaurants and go to the outside seating area but we did not get back to the hotel until it was dark and left before it was light so did not get a chance to look at the lake. The hotel cost 900 SAR a night with 25% Saudi Aramco discount applied. 6th July: Raydah Ridge, Raydah Escarpment & Jizan Corniche. This itinerary took us from the coast into the Tihama lowlands and then up into the Asir Mountains allowing us to cover many different habitat types in a short trip. 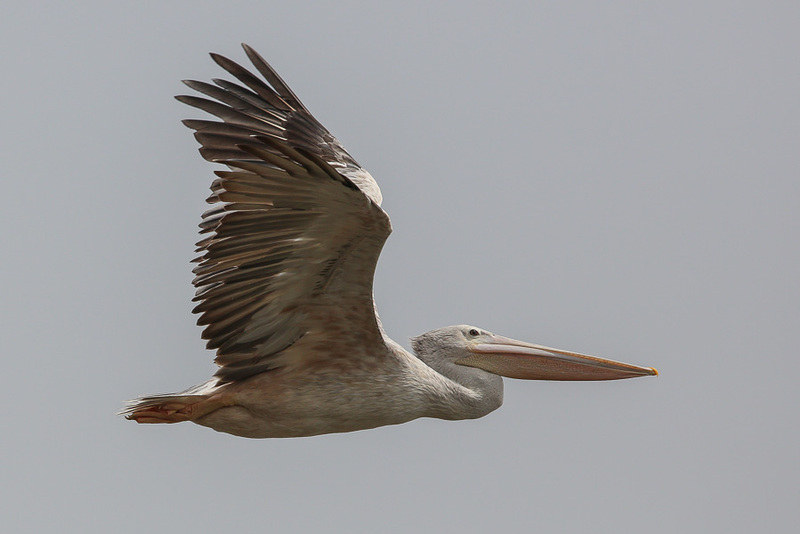 It may have been better, in the end, for us to fly home from Abha rather than returning to Jizan but we saw a few more good birds in Jizan on the way to the airport so we were happy with our itinerary. We birded dawn to after dusk every day, with the trip proving to be highly successful with 134 species seen in the six days, including seven out of the ten Arabian endemic species - Arabian Serin, Arabian Woodpecker, Yemen Thrush, Yemen Warbler, Arabian Wheatear, Arabian Partridge and Yemen Linnet, plus the Asir race of European Magpie. I saw 38 species that were new for me in Saudi Arabia on this trip taking my Saudi Arabia species list to over 300 species. We missed a couple of species that we thought we might see including the Arabian endemic Arabian Waxbill, which may have moved to higher elevations due to the mid-summer heat and Abdim’s Stork that was breeding two months previously but has also moved off from its normal areas. We also failed to find either of the Arabian endemics, Arabian Serin and Philby’s Partridge whilst in the Abha area.I will post details of the trip over the next couple of weeks to highlight areas visited and species seen. 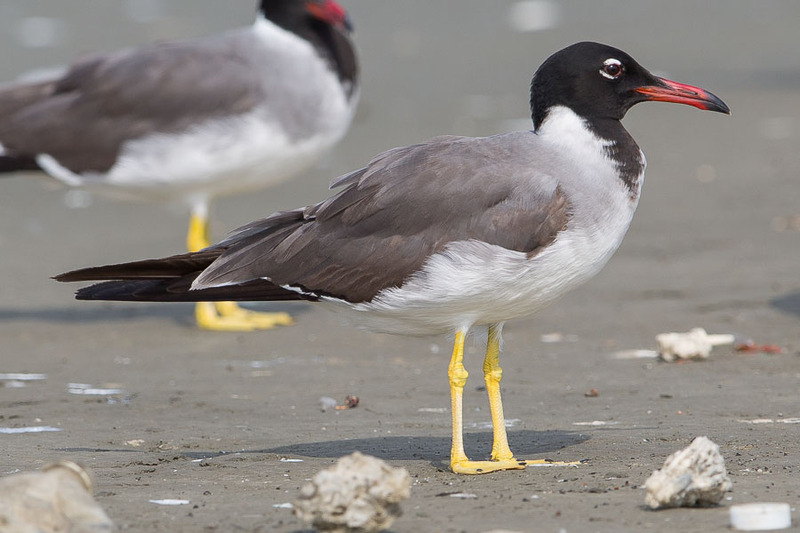 Love the White-eyed Gull image planning a trip later this year to hopefully get some images for myself .. It is a great location and well worth the effort of getting there. Top of Mount Sodha is good for both partridges. I have seen both up there previously too but not on this trip.